British songstress Dua Lipa took to the stage of the 2018 Champions League Final in Kiev, Ukraine, and stunned in her skimpy ensemble. The 22 year old raven haired star mesmerized and allured in a holographic bodysuit, a shorts and top combo that put the star's shapely legs on show. Dua, who also attended the 2018 Billboard Music Awards, showed off cleavage and added a pair of trendy white sneakers to her ensemble. 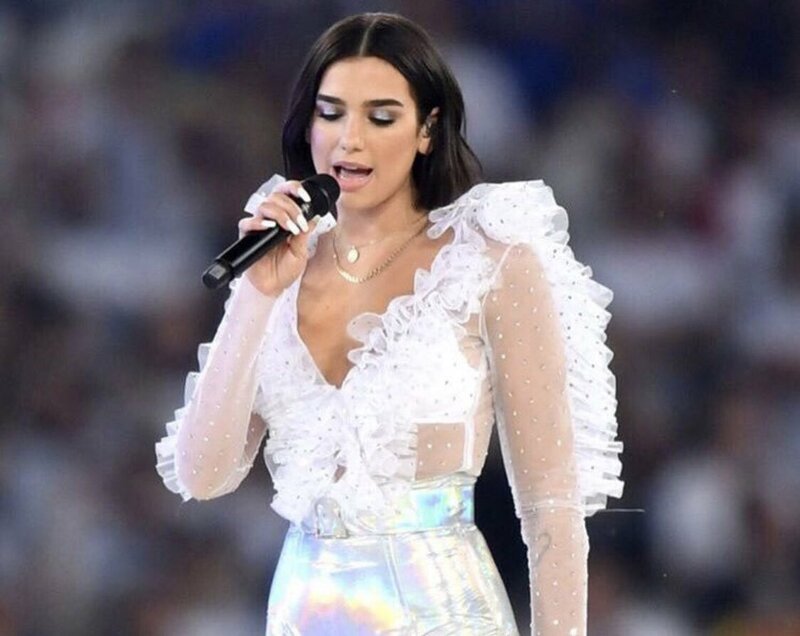 A ruffled white blouse was styled with Philosophy's custom made holographic high-cut shorts, and were second skin on Dua. 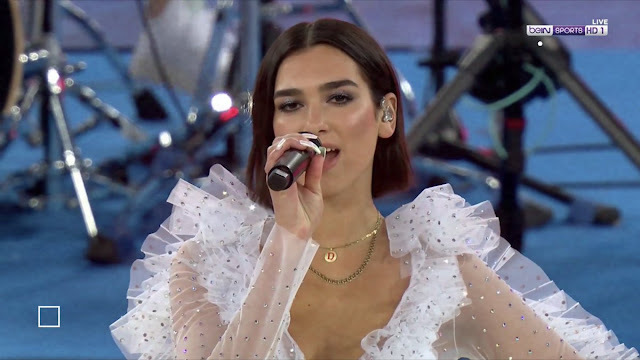 Gold jewels and bejewelled sheer tights were also worn by Dua, who built up the excitement before the match between Liverpool and Real Madrid started off.